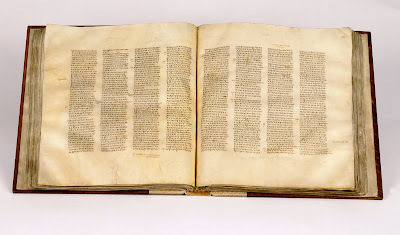 Image: Codex Sinaiticus which can be viewed online here. In preparing for last Lord’s Day’s message on 1 Peter 4:12-19 I was struck by textual issues in 1 Peter 4:14. First, there are textual variations in the phrase “the Spirit of glory and of God.” A number of witnesses add kai dunameos after doxes reading “and the Spirit of glory and of power and of God.” This is one of those places where the so-called “oldest” manuscripts do not agree. 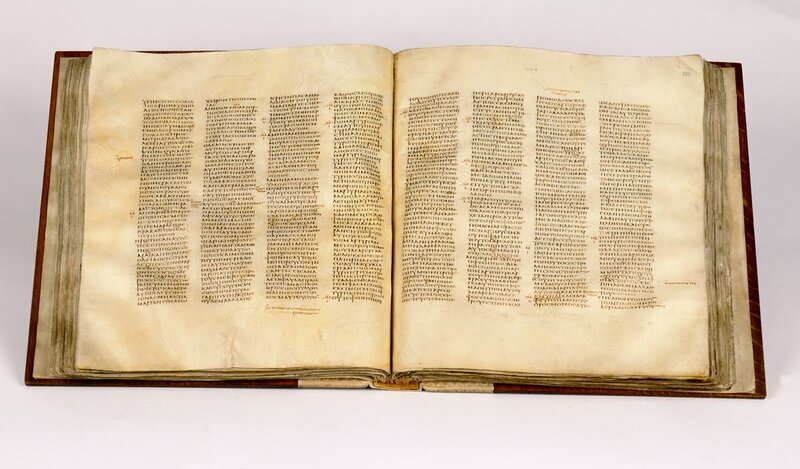 Sinaiticus includes “and of power,” while p72, Codex Vaticanus, and numerous other witnesses support the traditional text by omitting the phrase. Metzger rejects the addition as “a homiletical supplement to the original text” (Textual Commentary, p. 695). Second, there is a significant textual variation relating to the ending of the verse. The traditional text includes the final sentence: “On their part he is blasphemed, but on your part he is glorified [kata men autous blasphemeitai, kata de humas doxazetai]” The eclectic text omits it entirely. There is valuable early support for the sentence. It appears in Codices K, L, P, Psi, most minuscules, and in various early versions (e.g., Latin, Syriac Harclean, Sahidic, Bohairic). It is also quoted in Cyprian (d. 258 AD)! It is omitted, however, in the heavyweights so prized by modern textual critics: p72, Sinaiticus, and Vaticanus. Metzger admits the possibility that “the words may have been accidentally omitted because of parablepsis (etai…etai),” but commends the Committee’s “far more probable” conclusion that the sentence was added “as an explanatory gloss on the preceding reference to the spirit of glory” (Textual Commentary, p. 695). Conclusion: Textual study of 1 Peter 4:14 provides an example of divergent readings in Sinaiticus (which includes kai dunameos) and Vaticanus (which omits it). There appears to be strong, early witnesses to the ecclesiastical text (by the early 3rd century according to the Cyprian citation) and a plausible explanation for omission (parablepsis) which argues for the inclusion of the final contested sentence as a legitimate part of the text of Scripture.